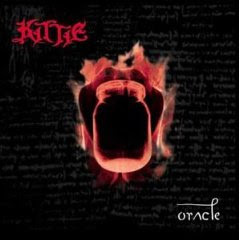 Hall of the Mountain King: Review: Kittie, "Oracle"
When I first heard about this group of teen-age girls playing metal, I'm sure I smirked. I could just imagine what they considered metal. But one listen to Kittie's debut album "Spit" wiped that look off my face and made me a believer. The collection of short, punchy and heavy tunes convinced me they were the real deal. Apparently, convincing guys like me that teen-age girls could indeed lay down some heavy tracks wasn't enough, though. On their latest release "Oracle," the girls from Kittie take it one step further - or perhaps one step too far. The most intriguing thing about "Spit" was the alternating melodic vocal passages and feral snarls. Combine those with a catchy hook - like the one on "Brackish" - and Kittie produces a song that can rival the best of the nu-metal crowd. On "Oracle," though, they focus less on melody and more on the snarl. There's no doubt these girls have the chops. The riffs on songs like "What I Always Wanted," "In Winter" and "Wolves," will stand up to those of just about any metal band out there. It's also obvious they've been listening to a lot of Pantera, especially on "Severed" and "No Name" - tunes ripped straight out of the Pantera songbook. Kittie thrashes through these numbers convincingly, but perhaps they've been focusing on the wrong things about Pantera. While they manage the huge riffs and snarling vocals, they don't quite get the total package. "Severed" gets redundant after a couple of listens, and "No Name" never really takes off. The album does show glimpses of Kittie's potential. 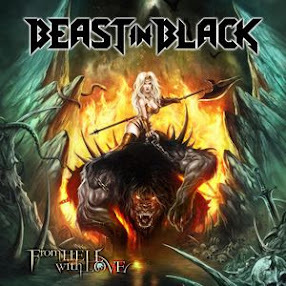 "What I Always Wanted" comes close to matching the best songs on their debut, striking a delicate balance between the band's light and dark sides. "In Winter" is the strongest performance on the album, with a dark and melodic verse and a nice chunky chorus riff. It's followed closely by their crushing cover of Pink Floyd's "Run Like Hell." Kittie gives the song a heavy, bouncing riff and singer/screecher Morgan Lander showcases some interesting vocal inflections on the verse. For an album that goes out of its way to show how heavy the band can be, two of the last tracks on the album seem like strange choices. Rather than go out with a bang, Kittie instead changes pace with "Safe" and "Pink Lemonade," a pair of interesting, yet morose tunes. The melancholy, keyboard-driven "Safe" is the better of the two, while the industrial-sounding "Pink Lemonade" gets a bit boring. Not a good choice as the listener's last memory of the album. The songs on "Oracle" are not bad songs, in fact most of them are a bit above a lot of the nu-metal set. But it's also not an album that's likely to spend a lot of time in your CD player. It lacks the hooks and passages that get stuck in your head and won't go away. After a few listens, it gets a little dull. On "Oracle," Kittie obviously set out to prove that they're more than a novelty act. Unlike their debut album, though, when the novelty wears off on this one, the listener may find there's not much beneath it.